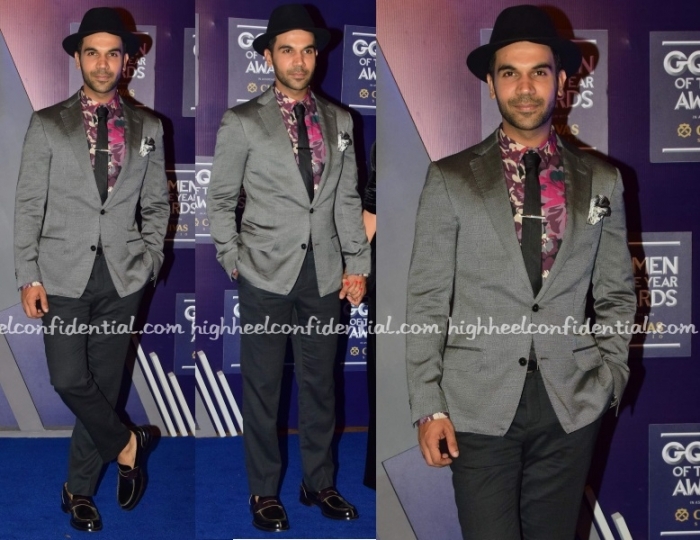 At the GQ Men Of The Year Awards, Raj Kummar was seen in Zegna suit paired with a printed silk shirt from Selected Homme and accessories from the Tie Hub. The actor so many caps/hats during his Bose promotions that it has almost become his signature style. 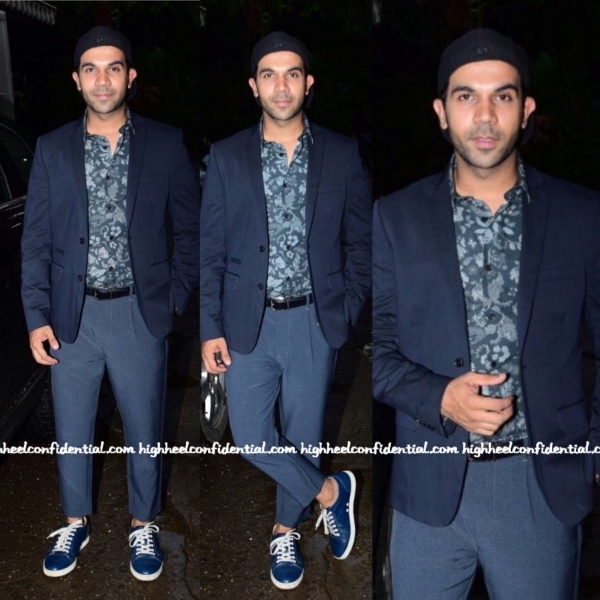 The grey suit with that hat and no socks brought back memories his namesake Raj Kapoor‘s Awara look. Having said that though, I liked him here. You? 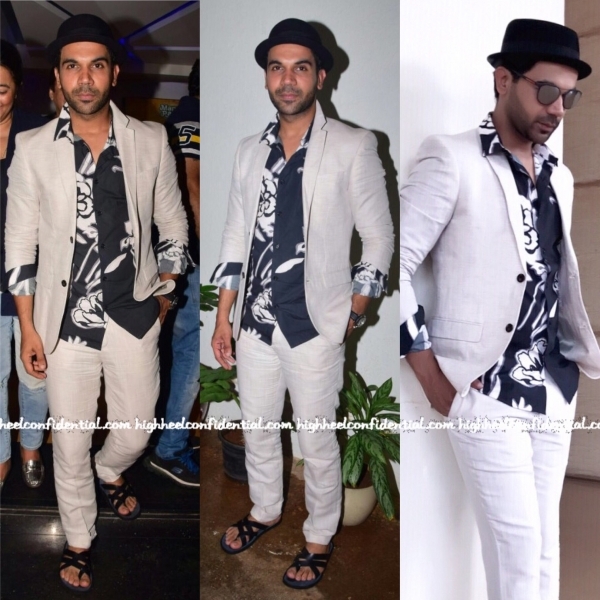 Rajkumar Rao attended the promotions for Newton wearing a printed Selected Homme shirt with a H&M suit and WCFCo sandals. The sandals were an unusual pick, but since the suit was casual, they worked. 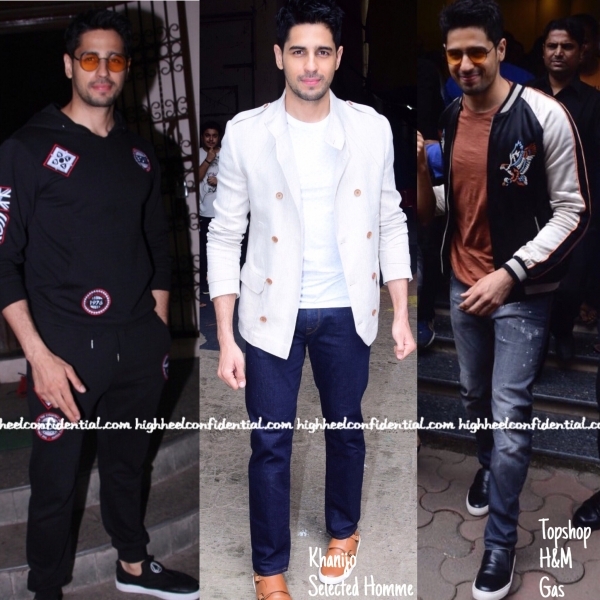 While on a promotional spree for his next movie, Sidharth has been changing it up giving us a whole gamut of looks. 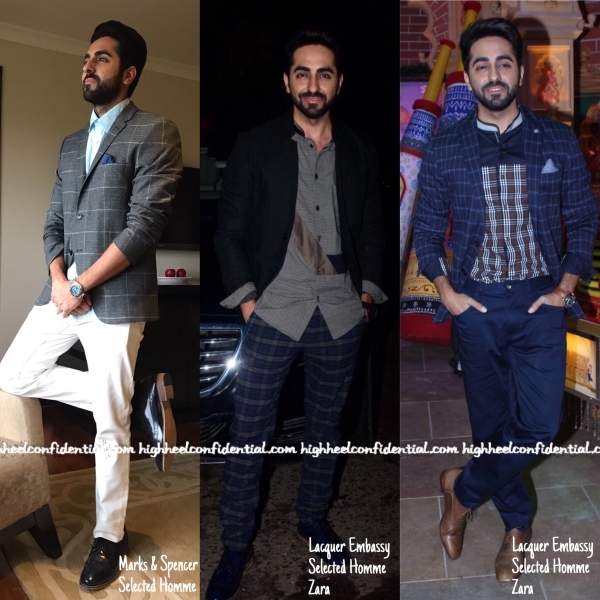 My favorite has to be a toss up between the Khanijo blazer look and the all green Selected Homme one. 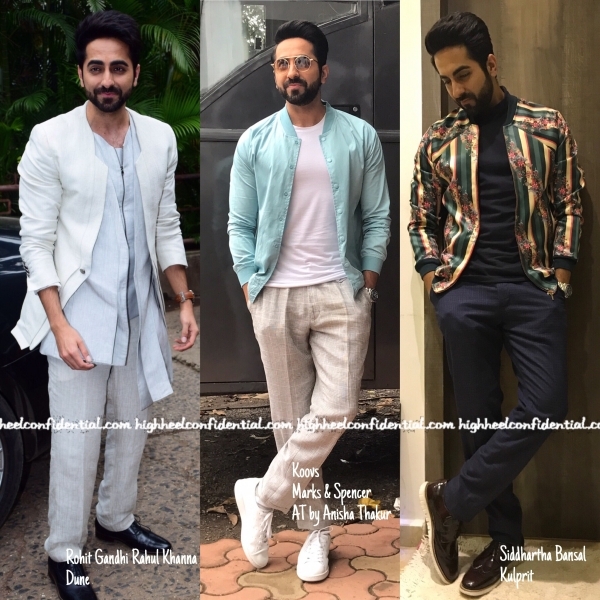 Let’s hear from you guys, tag these looks as Sundar, Susheel or Risky. 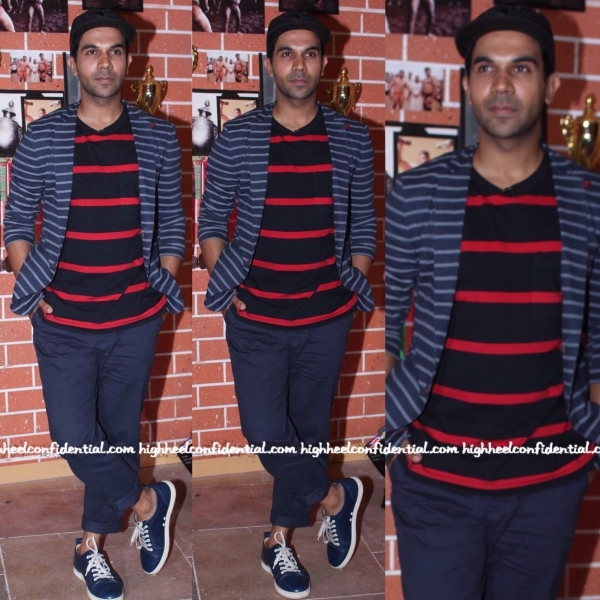 With a new movie coming up, Rajkummar Rao has been on a promotional spree. For one such event, he picked a Tisa jacket to pair with a H&M tee shirt, Marks & Spencer trousers and Christian Louboutin shoes. Another appearance had him opt for a Jack & Jones jacket and Selected Homme shirt and trousers. Wish the length of the trousers were longer, other than that, the looks were strictly ok.
P.S. In case you are wondering why the cap, it’s because he will be sporting a new do in his next movie and wants to keep it a surprise.